DIYARBAKIR-HUDA PAR Deputy Chairman Mehmet Ali Doyar spoke on the agenda. Characterizing that the electoral threshold and system are unfair, Doyar said unfair election threshold and electoral systems have forced parties to join the alliance. Emphasizing that the door of their party is open to parties, those are capable of entering the elections, Doyar said that they are not judgmental towards of any party or formation in advance. "We are not judgmental of any party or formation"
"Unfair election threshold and the electoral system force the parties to form an alliance. That’s why we continue to have negotiations as a party," said Doyar, who stated that they are in all kind of work that would prejudice the cultural, material, spiritual and social interests of the society. "We are not judgmental of any party or formation. We place importance on principles instead of emotional reflexes. We are a movement that takes Islam as the reference. We care about the benefit of all sections of the society," he added. Doyar said their work on presidential candidacy is continuing. "We will enter the election with our own presidential candidates or we will support a candidate whom we see close to us. We have not been in a meeting with HDP until now. 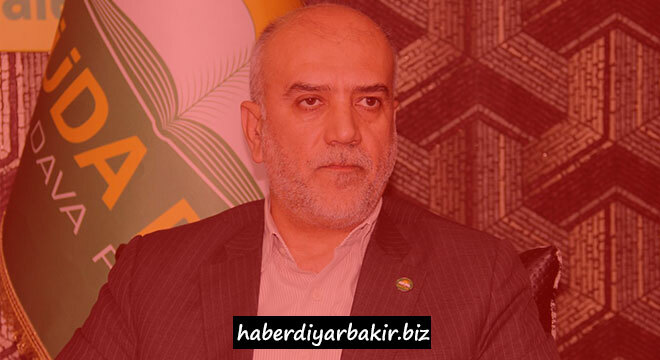 We are only concentrated on election studies at the moment and we will join the elections on June 24th with all our organizations in all 81 provinces," Doyar said. "The government declared state of emergency after the betrayal July 15 coup attempt. That process requires doing that. However, many times in our meetings and in our press release we said the extent of state of emergency is not necessary. We have urged the government on this issue. Although the government and Mr. President voiced the state of emergency would not affect negatively for people's daily lives, we see it does. We all feel the negative effects of it. Selection will have adverse effects. Of course, it will have negative effects on election work of the parties." "Nationalist attitudes should be abandoned"
Stating that they do not welcome that nationalist attitudes and discourses, Doyar lastly said: "Nationalism has negative effects. It effects abhorrently to every segment of society. The negative repercussions, of course, would be realized. Nationalist discourses and attitudes divide people. Our people do not accept it, they do not approve it. It must be abandoned."